Removable orthodontic appliance is a mechanical appliance that exerts pressure in a predetermined direction on the alveolar bone through the medium of the teeth with the help of bows, springs, screws or elastics. The word removable itself indicates that it can be removed for cleaning by the patient or by the orthodontist for any adjustment purpose. With the advantage of being removable, it has certain limitation and problems as well. 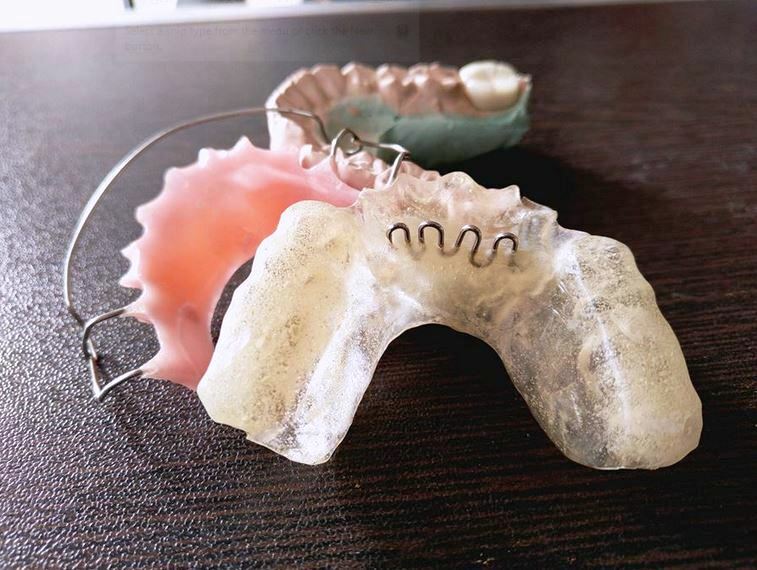 One of the main factors involving Removable Orthodontic Appliances in treatment is patient compliance, the Dentist does not have complete control on how the treatment progresses as it depends mainly on the patient. If he/she follows the doctor’s advice to the point the result will be as planned and if it is not followed the results will be altered or delayed. So let us look at what instructions should be given to the patient before giving a removable appliance for Orthodontic treatment. 1. The appliance should be removed only during brushing, this increases the amount of time the appliance acts on your teeth to get the desired result. 3. Similar to your Teeth the appliance should also be cleaned every day using brush and paste and should be rinsed in clean water after every meal. As the food might stick to the appliance and can lead to bad breath or infection as well on long run. 5. When not in use the appliance should be stored in a container with water, as the appliances are made of Acrylic they tend to distort if placed in open for a long duration and might not fit properly, so it is best to place it in water when not in patients mouth. 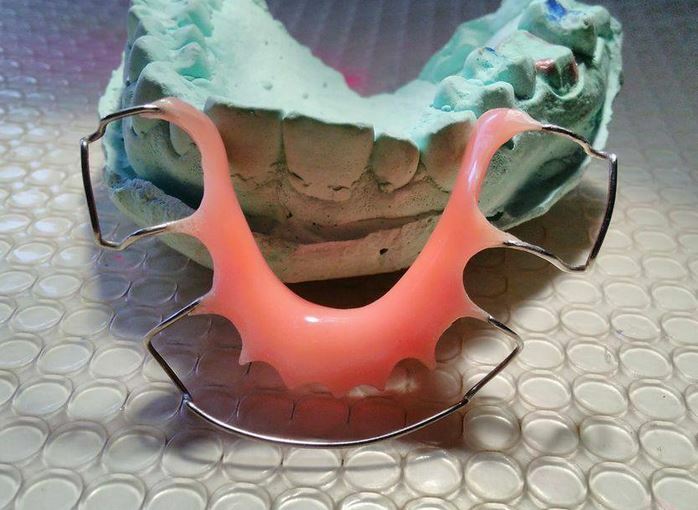 The above problems are common in patients wearing any removable appliance for the first time and it is important to explain these problems and to convince the patient to keep using the denture to get over these. There might be difficulty in speech which should be overcome by reading a newspaper loudly for sometime daily which will help the patient in pronouncing the words properly. 7. advice patient to avoid paying with the appliance using the tongue. This make the appliance less Retentive and can distort the components. 8. If any part of the appliance is broken, he/she should discontinue wearing the appliance and should report to the orthodontist at the earliest. 9. If there is severe pain at any stage during the treatment, the patient is advised to remove the appliance and report to the orthodontist at the earliest. As it might be due to many reasons like ill fitting appliance which might lead to ulcers or sharp edges leading to ulcers which can be addressed by the Dentist. 10.The appliance should never be stored in any tight spaces like pockets or bags as the appliance might distort, mainly the wire components might be altered leading to ill fitting appliance. These are some of the important instructions and rules which should be given to the patient and followed by the patient without fail to get the desired result in any Orthodontic treatment, there are numerous removable orthodontic appliances which are given to the patient depending on the type of malocclusion. Will my Teeth get yellow or white stains after Orthodontic Braces?